By Bryan Buttler·	 6/20/2015, 6:32 p.m.
Everyone’s been waiting with bated breath for the installation of the previously-announced rainbow crosswalks coming to the gayborhood (at the intersection of 13th and Locust Streets). We can now report that a major source close to the project, Franny Price of Philly Pride Presents, shared via a public Facebook post that the crosswalks should be completed by July 5th, in time for the Annual Reminders Block Party. Ms. Price posted the following update, including a map of exactly where the rainbow brigade will be installed. 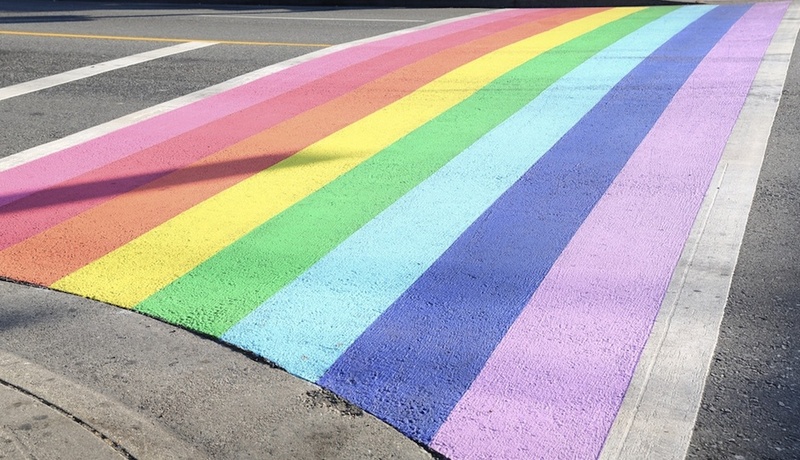 Philly won’t be the first city to get these types of crosswalks: Key West, San Francisco, and West Hollywood, amongst many other locations, have similar designs at major intersections in gay neighborhoods. We will keep you updated should the project be delayed, and as soon as we see the rainbow roads ready for walking, you can expect plenty of pictures.